An introduction of one of the topflyers and succesfull breeders of Holland for many years. Herman Beverdam is the third generation of pigeons flyers in his family. His father and his grandfather were very succesfull fanciers in the 1920’ies up to National Level. After the world-war there we no pigeons at the home of the Beverdams anymore, all slaughtered or seized by the occupants and it was Herman that did bring the first pigeons back to his house. These were fancy pigeons and……..it did wake the old fire in pigeon racing of his father. Hermans father and grandfather knew the very best fanciers and the start was with birds of Janssen Brothers and Maurice Delbar. As a little kid Herman was allowed to handle the most celebrated champions of that time. In the period that Herman was succefully racing with his father he did learn a lot from the all time greats in pigeons sport and the natural talent in selection could be refined. The breeding technikes, the family building, Herman was a good student ! 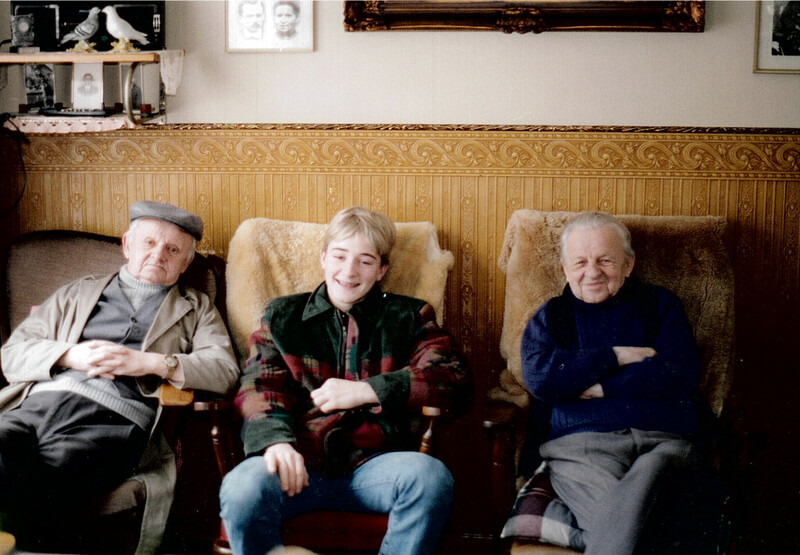 After the death of his father Herman had to walk on his own feet and he used his skills. The many visits to Janssen Brothers in Arendonk, the very private talks with Charles Janssen, he was educated in the ins and outs of the Janssen strain. The introduction of the Karel Meulemans family in 1976 was another big jump ahead and Herman did keep this family as pure as can be. 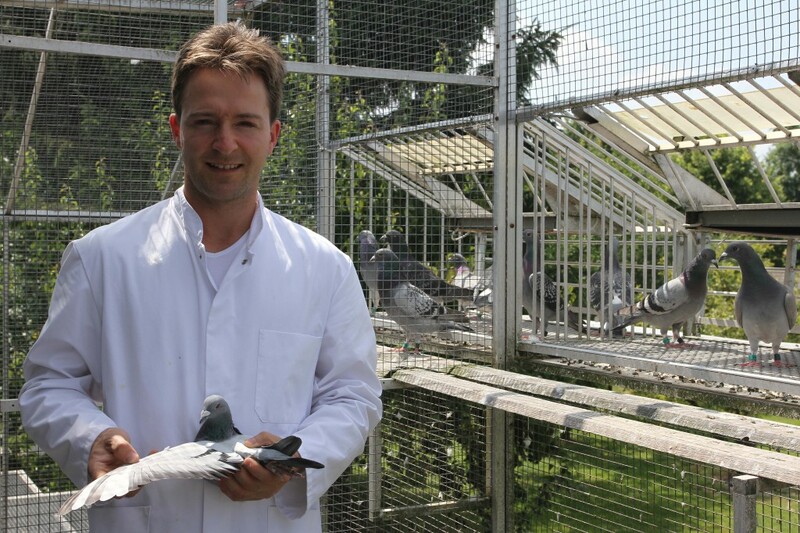 The BEVERDAM JANSSENS became a household name in pigeon sport. Because of the popularity of the Janssen strain and having the very best ever to leave Janssen Brothers lofts, the great demand for his pigeons, Herman turned professional in 1979. This means that the pigeon-business became his work and he tried to make a living of it. His exceptional results in his own lofts and in the lofts of his clients made his name famous world wide. It would fill pages to show his fine results through the years, believe me they can match any loft! In later years Herman introduced other exceptional families of pigeons to perfectionise his breeding. You will be hearing from them in a later stage, what they are and the succes with them. 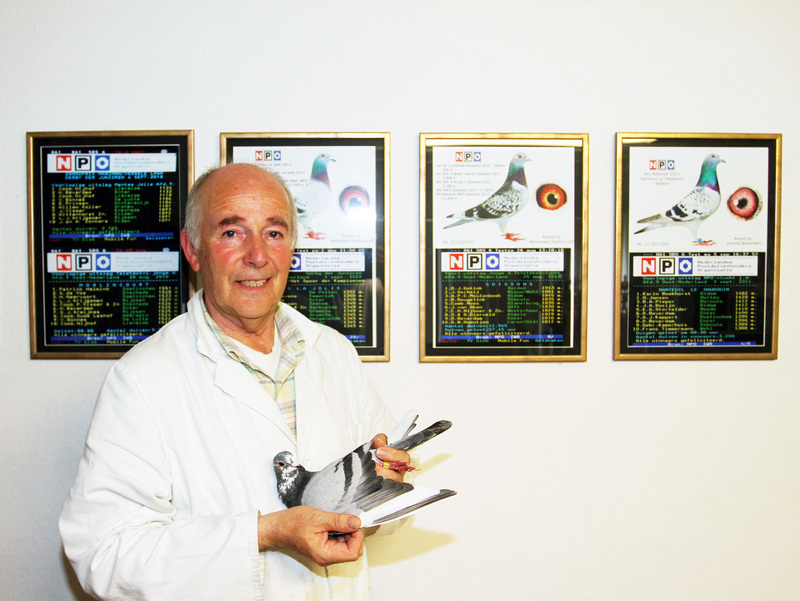 Now we are 35 years later and Herman Beverdam is a well-respected name in pigeonsport world wide. His knowledge of breeding pigeons, creating and keeping families at their purest, his results are the foundation of the BEVERDAM RACING STUD in Enter. The lofts where many fancier did improve his stock, his results and got the knowledge how to maintain his successful bloodlines. Now in 2013, three years later, incredible results have been achieved on all levels and we do invite you to go through our website and be amazed from which champions the nowadays winners are bred. The slogan, “The best is not good enough”, has been practisised for over 40 years and the outcome has been the very same as before, in Enter you will find your future stock and champion producers of only the very best that can be obtained and selected by true champions born with a pigeon in their hearts.